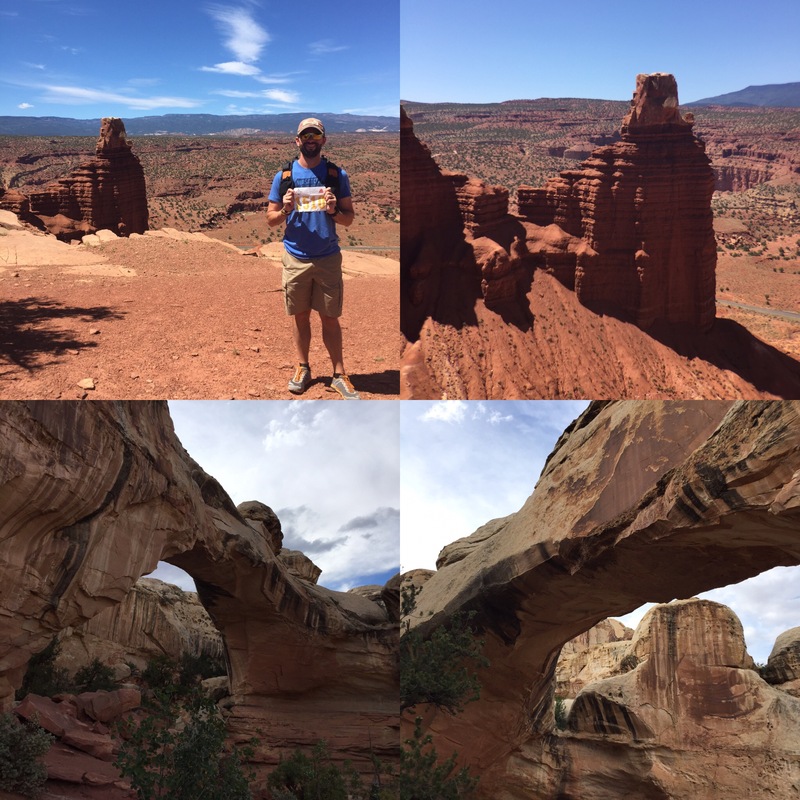 The Ultra Adventures Capitol Reef 50 Mile…Speechless! Alright, so I might not be speechless now that I have had some time to reflect back on the race this past Saturday, but that is the right word to describe the constant awe I was in during this race. 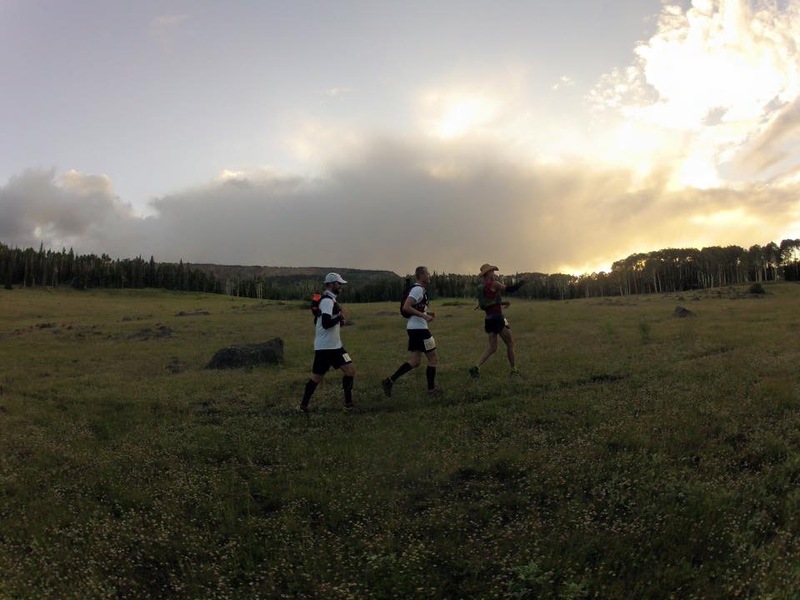 Capitol Reef was a newly added race this year and number six out of seven in the Ultra Adventures Grand Circle Trail Series. 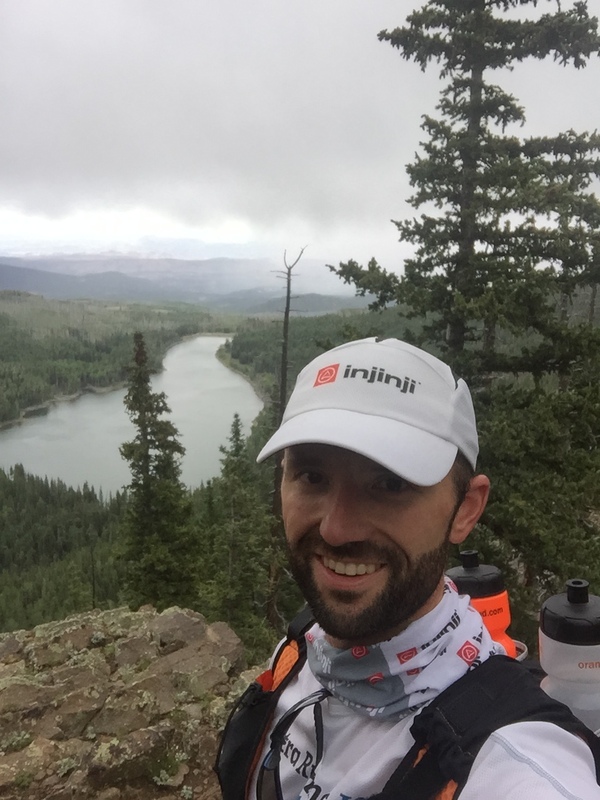 I have always promoted the races that Matt Gunn, the Race Director for Ultra Adventures, puts on. Mainly because of the beautifully diverse venues that he chooses, the amount of care he puts into each race, the emphasis he puts on appreciating the surrounding environment, and his overall emphasis on the total experience. Each one of his events is truly unique and Capitol Reef is no exception. 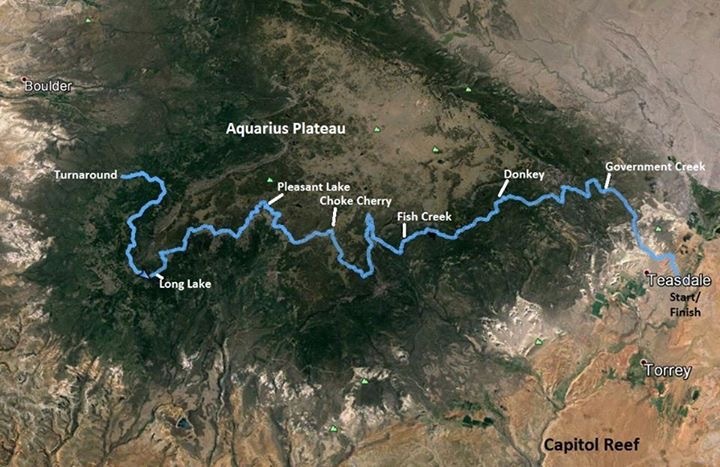 As if taking place on the doorstep of one of the most diverse National Parks in the United States wasn’t quite enough, the race takes runners up and across the Aquarius Plateau, the highest plateau in North America. 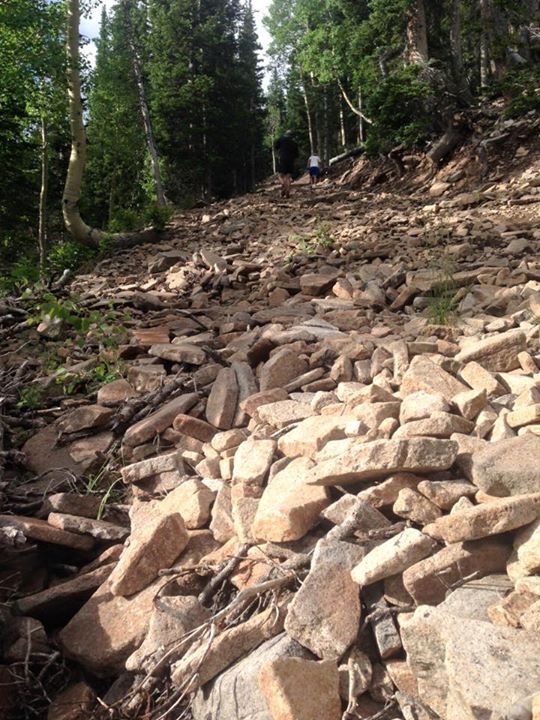 With over 20 miles (in the 50 mile course) taking place above 11,000 ft, this course was a lung burner. Add to that constant technical trails covered with boulders, water crossings, and uneven terrain and it provided quite the adventure. So how did I do? My family and I got there on Friday afternoon and setup camp about 2.5 miles away from the Start/Finish area. I must say, having our new popup camper has made a world of difference. Look at this view! The 50 mile race was slated for a 6:00am start on Saturday. It began at the 100 mile turnaround point at Chriss Lake and ran back to the Start/Finish area, which meant we had to catch an early bus shuttle to the start line. Thanks to a rather timid bus driver that was obviously not comfortable driving a rickety bus up a mountain, we didn’t get started until 6:30. I felt pretty good heading up to the first aid station at 8.5 miles, although it was a bit chilly (I was thankful that I chose to bring arm sleeves at the last minute). 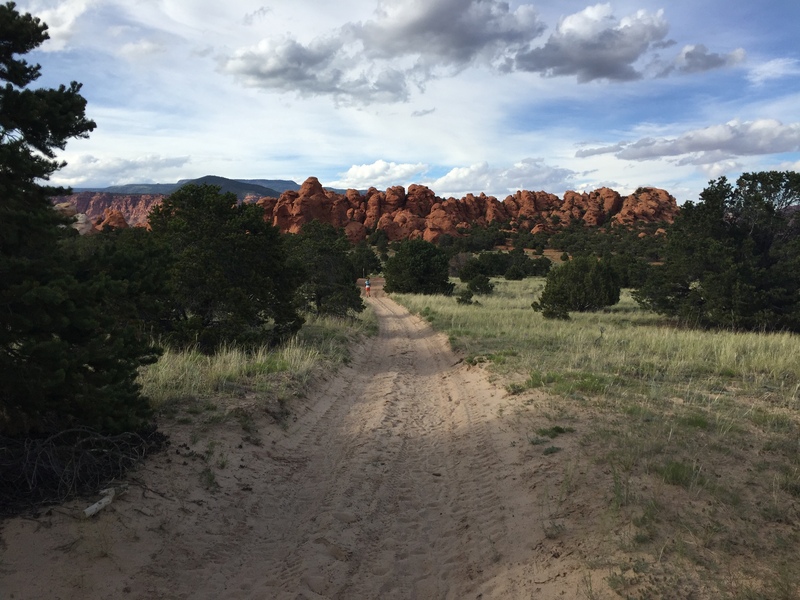 Shortly after leaving the aid station, we were greeted with a climb up this cattle trail. Now I don’t know how, cattle do it, but apparently this route is used to get the free range cattle up and down the plateau. This was the most technical section of the entire course, but I can honestly say (which most of us did not expect) that the rest of the course was nearly as technical, particularly on top of the plateau where rocks and roots were a common theme. After making our way up this for about a mile and a half, we reached the plateau. Still felt good physically, but the altitude was definitely getting to me early (curse me for not getting enough high elevation training in) and I would end up fighting it for all but the last five miles. I hung with Kendall, Steve, and Jerrod for a while longer until Kendall took off ahead after about 15 or so miles. Before he took off though, he managed to capture this epic shot! The plateau was simply amazing. 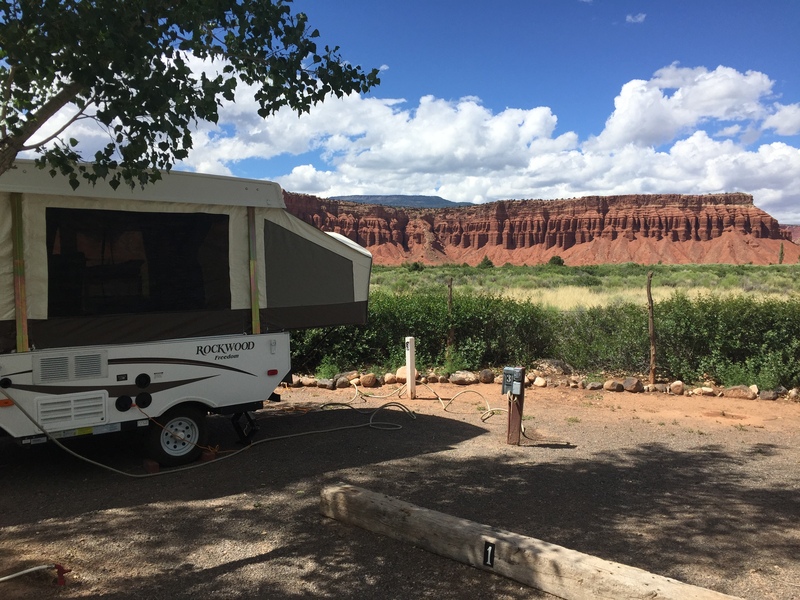 When not greeted with great ridge overlook views of Capitol Reef, we were running by numerous lakes and through mountain meadows. I honestly wish I could put this in to words. It was sensory overload in the truest sense of the word that almost made me forget about the fact that my body was over 11,000 ft in the sky and starving for oxygen. Perhaps a few more pictures can help describe it although they still don’t do it justice. I crossed the finish line in 12:33, which was good for 18th overall. That should tell you how difficult this race was. 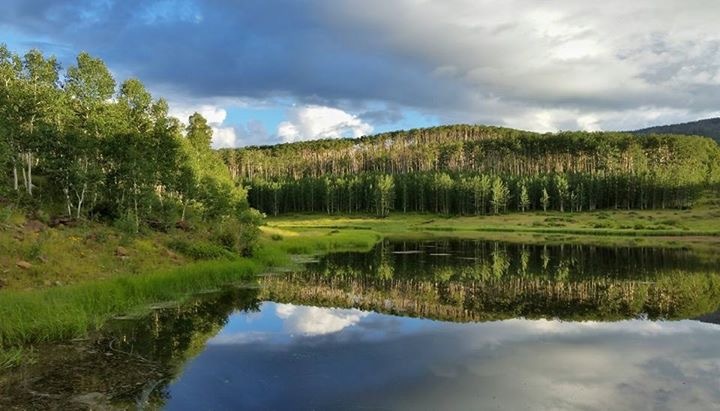 With a more positive spin, the difficulty of the terrain did give me extra time to enjoy this gorgeous corner of Utah for which I am grateful for. One of Ultra Adventures’ main objectives is to take every event and turn it into an experience. One of the ways they promote that is with their Trifecta Challenge. Each race has 3 additional routes that you can do, in addition to the race itself, that highlights key aspects of the surrounding area. For those that do it and take a picture with their bib at a certain spot, Matt will even reward you with a discount on future races. 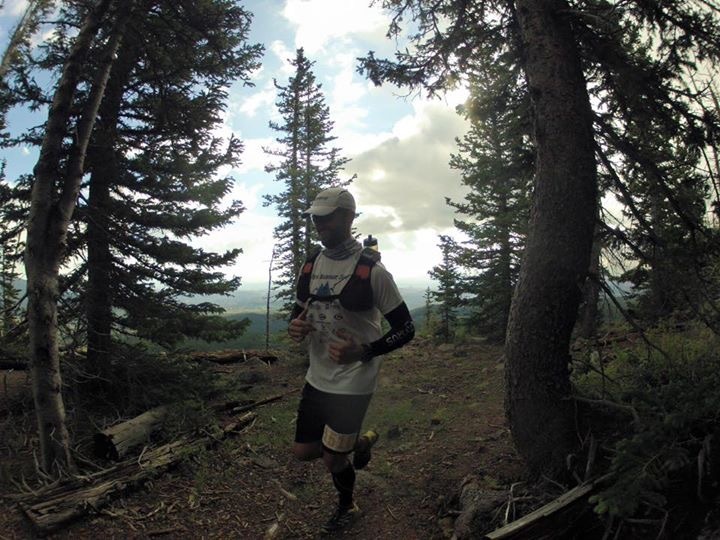 As a UA Race Ambassador, I make it a point to hit as many as I can in the time that my trip affords. This time, I attempted to head out to Cassidy Arch inside Capitol Reef National Park, but the access road was closed due to the rain throughout the week so my family and I hit both Hickman Bridge and Chimney Rock as an alternative! 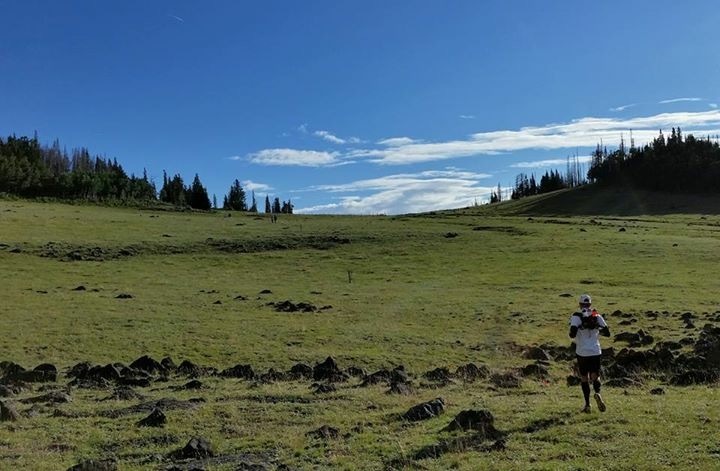 This entry was posted in Race Reports and tagged 50 Mile, Capitol Reef, Grand Circle, Ultra Adventures, ultra running, ultrarunning, Utah by Ultrarunner Joe. Bookmark the permalink. Wow, what a great race report and an amazing seeming race. The photos are truly beautiful. Thank you for sharing. You’re report is amazing and I think you’re an incredible runner! Thanks…I consider this a great compliment coming from you Toby!